Last August, developer Gears for Breakfast confirmed A Hat In Time was heading to the Switch after initially posting a tweet suggesting it would be skipping Nintendo’s hardware. While there’s still no date indicating when exactly this game inspired by the likes of Super Mario 64 and Banjo-Kazooie will be arriving, an eagle-eyed Switch fan over on Reddit has noticed the Gears for Breakfast support page has been updated. It now says the game is coming soon to Nintendo’s hybrid device. Hopefully an official announcement is not far off. Have you been looking forward to this game arriving on the Nintendo Switch? Tell us in the comments. Another 3D platformer on Switch. Hopefully it released on physical media in the future. Aww man, super hyped for this! Never got around to getting it on Steam just because I knew it would eventually come to Switch, where I feel it'll be right at home. Will definitely pick this up when/if Limited Run Games does a physical release. Didn’t the trailer Also Said coming soon sometime last year? Also the “what platforms Will the DLC be on?” Question doesnt get answered by this support page at all. Just a, we’re focussed on the switch version and the DLC release avoid the question answer. GFB stated thtat this game would never reach the Switch before, but I'm so glad they went back on their word. I'm sure the sales will be awesome! I'll keep an eye open for a review. @Heavyarms55 Don't need to. I own this game on steam. If you like N64/GC platformers, this one is FARRR into the realm of worth your while. The developer previously has said Hat In Time will never come to Switch. The developer has since deleted their tweet saying so. It seems originally they didn't want to but for whatever reason they backflipped. Was it customer demand or the huge potential revenue on Switch? Who knows. But they did backflip. A good thing as it's a good game. Of cause games like Mario Odyssey and Yooka-Laylee are objectively superior games, but Hat In Time is a cute 3D platformer. 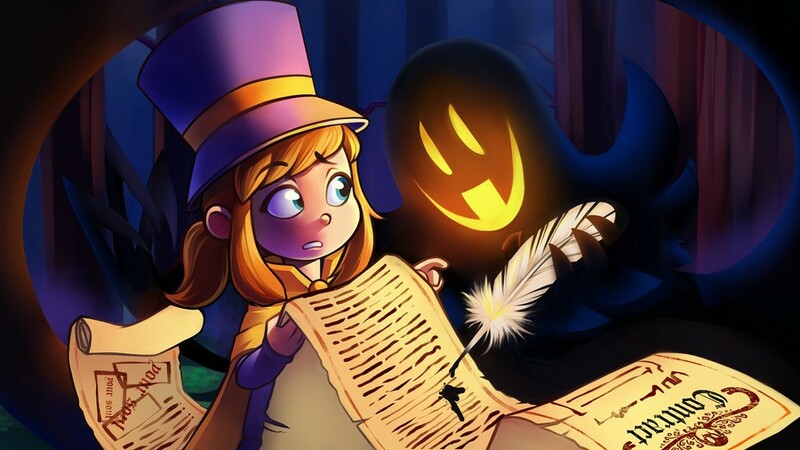 Sure Hat In Time is not without it's flaws, but at the right price I'll probably get it too. 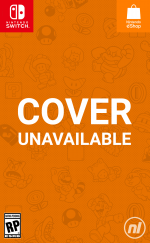 As one who loved Mario 64/Sunshine and Banjo-Kazooie, I'm looking forward to getting this. They need to hurry up. I've been holding on to Gold Points for dear life for this game. Wasn't it supposed to come out before the end of 2018? This wait is ridiculous. Give us concrete info already. @the8thark No argument about Mario Odyssey, but this game got a lot better reviews than Yooka-Layle IIRC. A Hat In Time released originally around the same time Mario Odyssey did, so one need not wonder why they initially decided to skip the Switch (that and also apparent engine problems). a must buy for sure! the super mario sunshine vibes are too hard to resist. great game. I fear that it will be at 30 fps and not 60. @nkarafo i fear i will enjoy it anyway. Skipping it after the rudeness of the Devs when asked if they would bring it to the Switch. They don't deserve my money for being rude with their potential customers. Looking forward to this one! The look of the cute girl reminds me of the movie ‘Indespicable me’. IT’S SO FLUFFYYYYY!!! The devs were so ADAMANT that there would be no Switch port, they scoffed at the idea of a Switch port when the game released on PC. Look who's turning one's coat now and trying to jump on the bandwagon to grab a piece of the Switch pie. @tourjeff Same. Developer seems like a bunch of dicks. Yooka-Laylee might be not as good as a game(apparently) but the developers bebind it seem like nice people. @Baart Yeah, I mean the game can be good a probably is because there were people asking for it on the Twitter. However, their response was appalling, people only wanted to know if one of their favorite games would be available on the Switch. It was a very immature response that will cost them some. Great news!! I would prefer a psychical copy for this please. No thanks. Still remember the Tweet about never coming to Switch. It is sad, because I really liked the game the first time I saw the gameplay trailers. I'm one of those people who haven't played it yet. Hopefully we her a deluxe cartridge with some of the (future) dlc on it! For anyone who has an open mind and has played Yooka-Laylee it's obvious. Many reviews at the time just unfairly hated on Yooka-Laylee. They wanted something the the game was not and thus the bad review scores. The review scores were a symptom of the reviewers not understanding the design goals of Yooka-Laylee. Yooka-Laylee is a better game than Hat in Time. After the patches Yooka-Laylee is even better. Also this is nothing about releasing the same time as Mario Odyssey. The Hat in Time develoeprs said the game will never come to Switch. They made sure every one knew that meant never ever. Of cause their attitude on that has changed. Engine issues is a possibility though. Hat in Time does use quite a few programming hacks to get the job done. Programming shortcuts and other things. The end result is mostly good though. Just under the hood it's not pretty at all. Thankfully if you don't glitch out of bounds or delve into Hat in Time's code you won't see most of it. The Hat in Time even deleted all their tweets about them not wanting to ever port the game to Switch. Quite arrogant if you ask me. They could have made up for it by apologising and saying "Our opinions changed because of how well the Switch has performed". No one would care if they are just chasing the money. We're all just annoyed that they can't be honest about it. Just arrogant developers. You'll not find that tweet anymore, they deleted it. That's the link to the tweet as shared in the previous NL article. The game has really been seeing a lot of general improvement since release as well, so I'm hopeful the Switch version will look and play beautifully. I'm certain that Hat Kid and Bow Kid will be warmly welcomed by Nintendo players. @the8thark I know, but I still remember it. Really looking forward to this one, good 3D Platformers are are (hoho) to find these days. And just to say: I only recently finished YookaLaylee and think it's great. As one who has played Banjoo an the likes back in the N64 days this game does a great job in bringing back the feels. I would rate it 85/100. A good 3D platformer is always welcome 😊 I have never played but from what I have seen from some videos it looks nice. Definitely interested in buying it. Thanks to their behavior, this studio is on my personal blacklist. Thank GOD! I've been waiting forever for this! My money is either going to A Hat in Time, or Persona 5 for Switch. That support page has literally said this exact same thing for months, probably since they initially said the game was “coming soon” last August. This isn’t news at all. @tourjeff While I'm inclined to go with you on this I'm not depriving myself of a good game because of what one idiot said. They won't get full price from me though as I will wait for a decent sale first. @DrawnRed Lol, just the mention of Atlus hinting at it would send shockwaves through the community. No question which I would get first. @the8thark Can you explain please a few ways how Yooka is better than A Hat In Time? I've never played either, and based on reviews alone, I'm more inclined to purchase Hat. I would hope that the majority of reviews for both would be honest. Pretty weird how negative they were towards Switch with no apparant reason. Only now to realize it sells gangbusters they are willing to turn everything around. No thanks. Yooka-Laylee on Switch is really, really good. Some of the level design could have done with a tidy. But it's a decent platformer. I think you're being a bit unkind with the Hat In Time devs. It's not that they ruled out Switch because they didn't like it. They just weren't sure it was possible, and thought it might prove to be a massive undertaking. I suspect, like a lot of these developers, they've got some support from Nintendo, or the engine provider, to make it possible. Or new tools have been made available to make it easier to manage. So they changed their mind. Considering the Switch's user base, it is a game that clearly suits the audience. @Dringo The problem was not that they ruled out the switch. The problem was how they did it. I really want this to run well on Switch. I really can't play it if it chugs, as I get motion sickness easily. I really want this to be awesome on Switch! Man the stubbornness and lack of understanding puts a certain other site that had people disliking this game to shame. To anyone with a decent PC that doesn't need this game portably, do yourself a favor and get it on PC. It's much cheaper during sales and mainly the modding support is very nice. The community has a lot of cool mods, like implementing the FLUDD for Hat Girl, Odyssey's Cappy, entire stages with some cool mechanics, etc. One made a Warioware-like minigame that works pretty well. Also...come on. Don't bash the devs due to a poor mistake in the past. Times have changed and someone probably got annoyed after being bombarded with several comments such as "when is it coming to the switch? huh?" like a certain Altus US manager was regarding Persona 5. I've played base A Hat in Time to 100% and it's a very good game. Not sure about how to compares to Yooka-Laylee since I haven't played it, but that game seems kind of barren from footage I've seen and reviews. I still need to play the 2 Banjo games before touching Yooka-Laylee. @the8thark AHIT has a 79% on Metacritic. YL has a 72%. That's a whopping 7%. Or nothing at all, really. Both games were pretty much universally considered to be at the very least good and by most, great. "The review scores were a symptom of the reviewers not understanding the design goals of Yooka-Laylee. ", no, the review scores were a symptom of the reviewers thinking "I like this game for some things and don't like it for others but on the whole I had a positive experience" if the aggregates are any indication. If you feel like every person who gave the game a less than perfect review didn't understand the game's intent, maybe the game's intent wasn't communicated properly by the developer and I'd say that is a perfectly fine criticism to make of the GAME, not the reviewers. Furthermore, given you are willing to act as an arbiter of game intent, you should be the first to know AHIT and YL, while both being 3D platforming collectathons, take fundamentally different approaches to their given genres. YL is a free-roam collectathon. AHIT is a level-based collectathon. YL is more like Odyssey. AHIT is more like Sunshine. I wouldn't be so quick to throw around the "objective" word when making such broad claims; you are comparing apples to oranges dude. I know plenty of people who adore Sunshine and hate Odyssey, and vice versa, and I know plenty of people who adore YL and hate AHIT, and vice versa. If you think you can dictate to me how YL is objectively better than AHIT even though both games offer fundamentally different experiences inspired by different sources and geared for different audiences, I'm all ears compadre. If you can't, don't throw lines around about one game being objectively superior to another when both excel at different things. For what its worth (given scores seem to be so damn important to people around here), the PC version of YL has an average USER score of 6.5/10 from 312 ratings. AHIT has an average USER score of 8.5/10 from 300 ratings. Those scores are EVEN MORE disparate than the review scores. Did all the gamers who bought YL get it wrong too? I get full well that YL's user scores were likely impacted by the JonTron drama but that's still a large margin. Oh, to be you. @tech7 I must be remembering a different tweet. All I remember is them saying it's definitely not coming to Switch... what's wrong with that? Other than in retrospect, clearly not the case. @Dringo I do not remember the tweet exactly either, I only remember that I found it pretty arrogant.